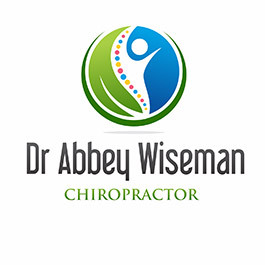 Dr Abbey Wiseman (Chiropractor) is based in Hendra on the Inner-North side of Brisbane. Her clinic, the unique Tribe Chiropractic, has been the natural progression of a number of years supporting patients from all over Brisbane. Having completed a Bachelor of Science and a Masters of Chiropractic at Macquarie University in Sydney she then went on to certify in Applied Kinesiology, followed closely by becoming a Retained Neonatal Reflexes Practitioner. This was then backed up with a two year Diploma in Chiropractic Neuro-Developmental Paediatrics (a big name that means the study of neurological development in children from a chiropractic perspective). To say that education is an ongoing passion is a bit of an understatement! When asked, Dr Abbey is quick to tell you that this passion has been consistently fuelled by the patients that she sees, and her desire to provide the most effective and safe care possible – independent of age. When under care at Tribe Chiropractic, with Dr Abbey, her approach may vary for many reasons, not least of which is that care is individualized. According to each patient’s structural and physiological needs. For some, optimal spinal alignment and taking pressure off the nervous system with gentle adjustments is key. While for others, it may be addressing nutrition, breathing, exercise and movement. In her experience, it is a multi-faceted approach that achieves the best results. For more information about Dr Abbey or to book your appointment please call T R I B E C H I R O P R A C T I C on (07) 3268 2222.